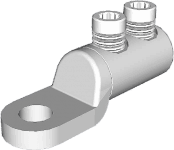 ➡ MV Cable Terminations Lugs – complete range of Sicame medium voltage cable termination lugs with “centre” or “offset” pads for cable connections to MV panels, switchgear, pillar and busbars. 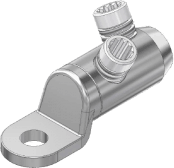 The MV connectors use shearbolt technology to suit aluminium and copper conductors with sector shaped, stranded or solid cores, 600/1000V cables, up to 11kV. 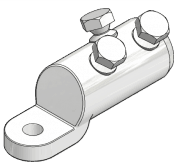 Mechanical cable lugs are also used to terminate and connect 11kV stranded and solid 3 and 4 cored shaped conductors into cable boxes and switchgear, 16-400sqmm with M12 or M16 stud holes.